I am honored to be appointed for this important position. Kayaking and coaching are two of my favorite passions. 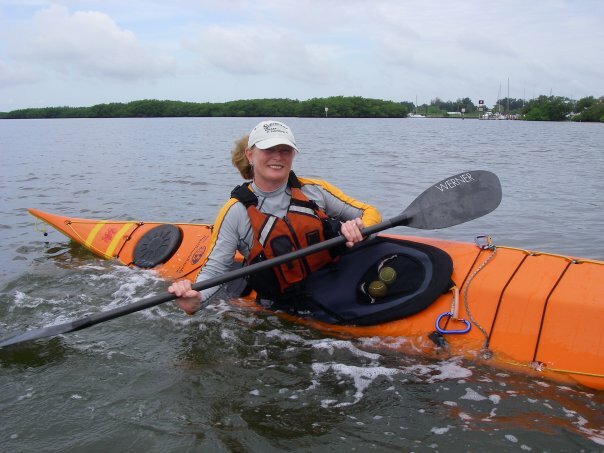 I am planning to offer more classes that will help you increase the enjoyment and knowledge that kayaking has to offer. The focus will be on how to use your body more effectively and efficiently to move your kayak through the water without stress or strain on your joints and muscles. Here are some of the courses that are being considered. Low Impact Paddling, Rescue Techniques, Demystifying The Roll: group clinic on the elements to learning a roll. Basic Navigation, VHF Radio, Super Cool Paddle Strokes and How They Can Keep You Out of Trouble. I have Lived in Tampa since 1963. BCU 4 star training. BCU Coach Instructor. Besides kayaking and coaching I love cycling and gardening.